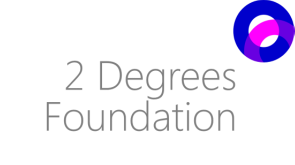 Approximately 24,000 fetal deaths at 20 weeks of gestation or more were reported in the United States in 2013. 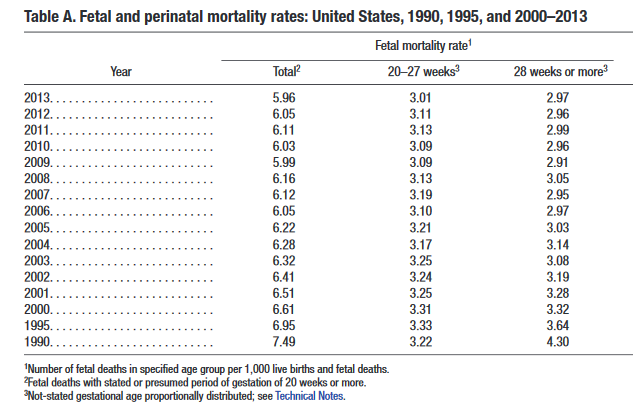 Although the rate of fetal mortality has decreased over the years, the decline is extremely slow. 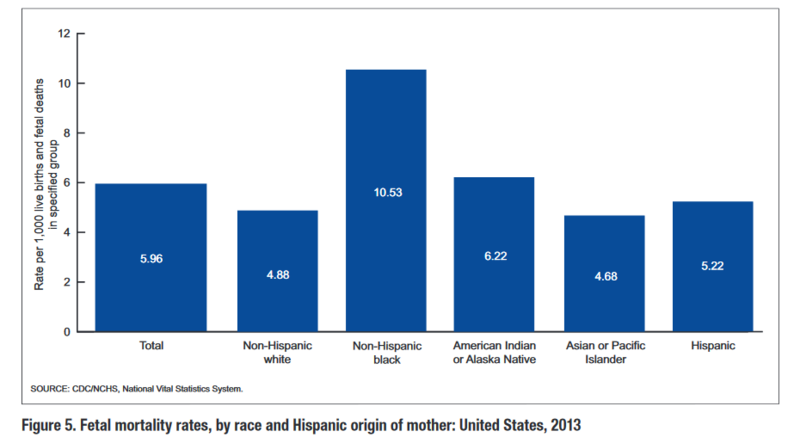 The race with the highest rate of fetal mortality in the U.S. is Non-Hispanic, Black, followed by American Indian or Alaska Native and Hispanic. 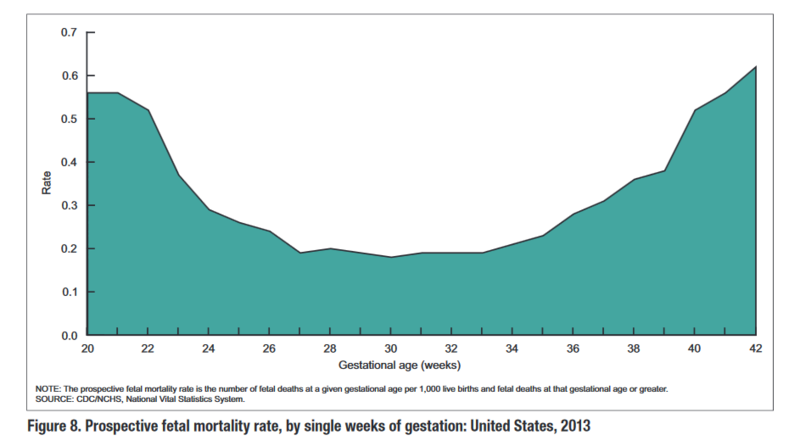 Approximately 11,874 fetal deaths occurred in between 20-27 weeks gestation and another 11,721 fetal deaths occurred in between 28-42 weeks gestation.